Based on the limited information I have found, the car led some races and finished 2nd in two. This was no small feat in this fiercely competitive IMSA factory-backed arena for an independent team to accomplish. Remember, this is the series that produced the amazing RX 7’s, Roush 700+ hp Merkurs and the dominating Toyota Celicas of Dan Gurney’s All American Racing. So, for an independent team with an as-yet unproven chassis to perform competitively, this really speaks volumes not only about the car, but about the efforts of the builders and drivers. As you can imagine, I’m a fan of the 200SX. 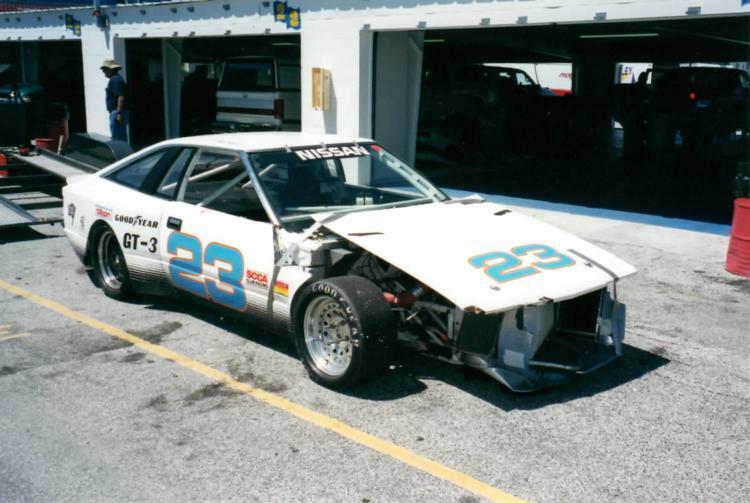 In fact, here’s a photo showing my own personal street stock 200SX, which is the same year and model as the race car. 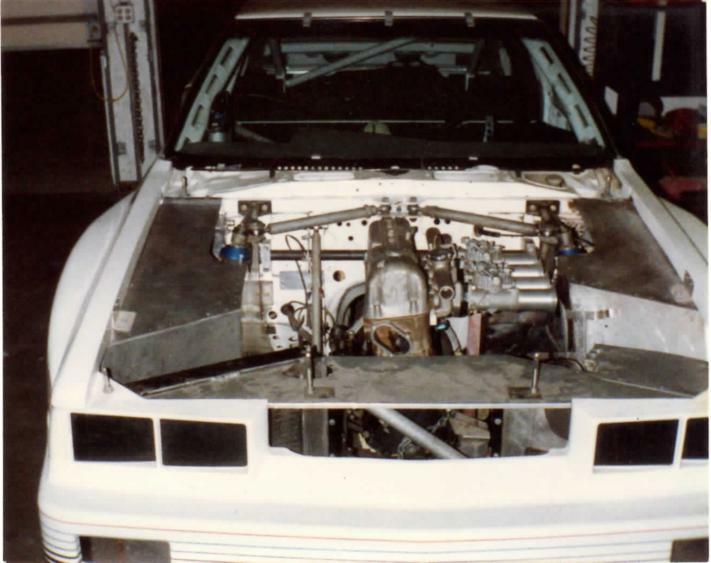 I purchased the race car sight unseen in 1989 as a partially completed B Sedan/GT2 SCCA race car, with the intent to race the car as a GT3 in SCCA. It arrived as a rolling chassis. 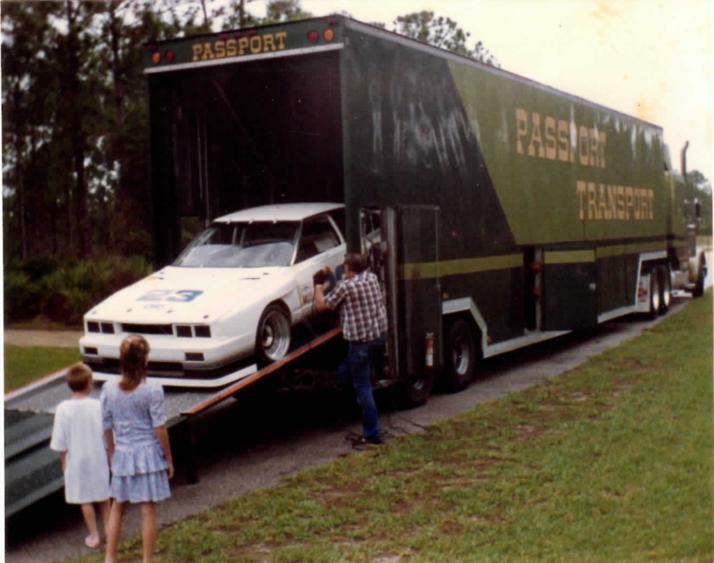 Here’s a photo of the car coming off of the transport with no engine, transmission, seat, fuel cell, etc. I had to provide the front shocks, calipers, etc and incidental hardware to make it shippable. The car arrived as a tub car with tube front and rear sections retaining the original car’s McPherson front suspension geometry. Here you can see how the front suspension top McPherson strut support is literally cantilevered off the firewall. Adjusting the two round angled struts changed the caster and camber. Final adjustments for caster could be made by shimming the a-frame supports on the firewall. 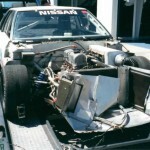 The original firewall was in the car, but heavily reinforced with box tubing and roll cage pick up points; some outstanding fabrication work. Interestingly, a similar layout was used in the BMW factory cars in the 70’s and 80’s before full tube frame cars were built. New headers were built and an ultra close ratio direct drive Nissan Competition gear box was installed. 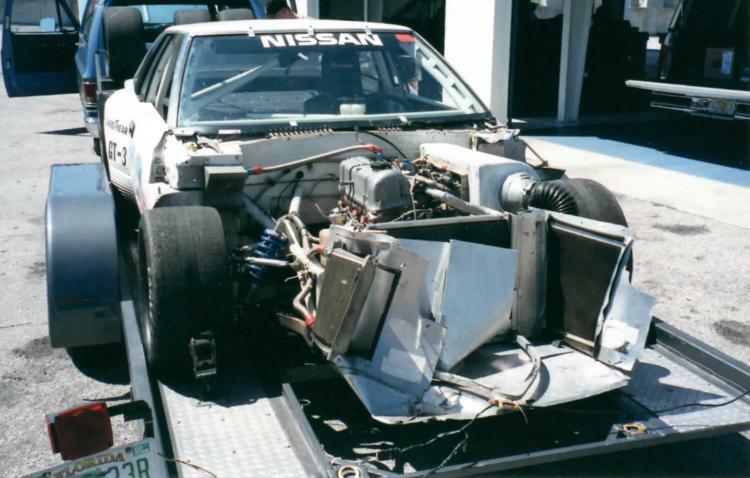 The engine was an L20B from SCCA national champion Dave Frellsen’s winning HL510 with the old style FIA head offered by Nissan Competition in the 70’s. The engine produced 215 horsepower and was a bit peaky with some annoying flat spots. 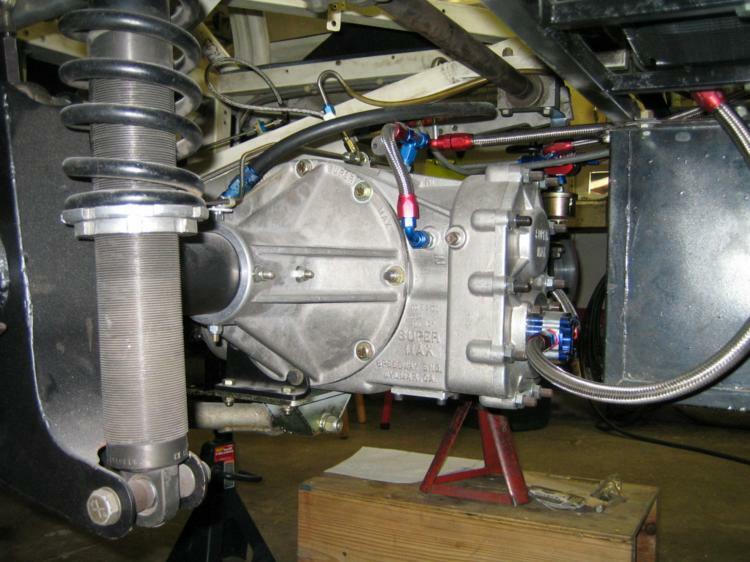 The huge Halibrand quick change rear end was replaced with a floating rear end based on the PL510 station wagon live axle to reduce weight and mechanical losses. The rear suspension is a 4 link with a lower wish bone, as seen here. I ran the car this way for 9 years off and on in SCCA with many 1st, 2nd and 3rd place finishes but was not happy with the performance and competitiveness. 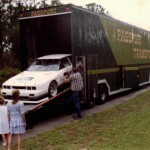 The car was very reliable, fun to drive but not competitive due to its weight and older technology. Significant modifications and money would have to be invested to bring the car up to a performance level making it capable of SCCA National race wins. 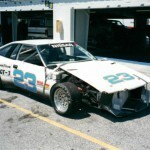 At the April 2000 SCCA National race at Daytona, fate intervened again, and a Camaro in the A/S class took the front end off the car at the Horseshoe. 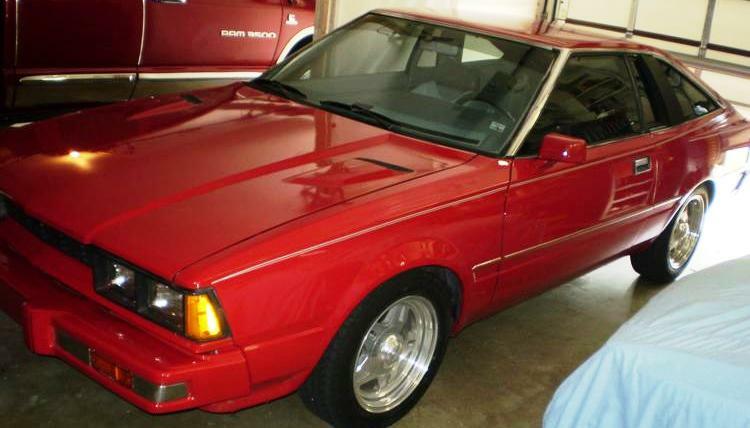 Normally, this would spell the end for a vintage racer… but Bob and the 200SX would be back – Check it out.